Our weekend was a long weekend - courtesy of the Queen's Birthday - and it was a relaxing one with family, friends as well as some time for fabric play and stitching. This is my idea of relaxing, easy sewing ~ allowing the fabrics to shine, the colors to play together, and the prints to tell a story. It isn't necessarily a quick process as I have to walk away from my design floor often, edit my fabric choices, and revisit the stash. The deer fabric (grey background) were my last addition which finally pulled the story and the colors together. This quilt top is ready for basting. That's my task for today. 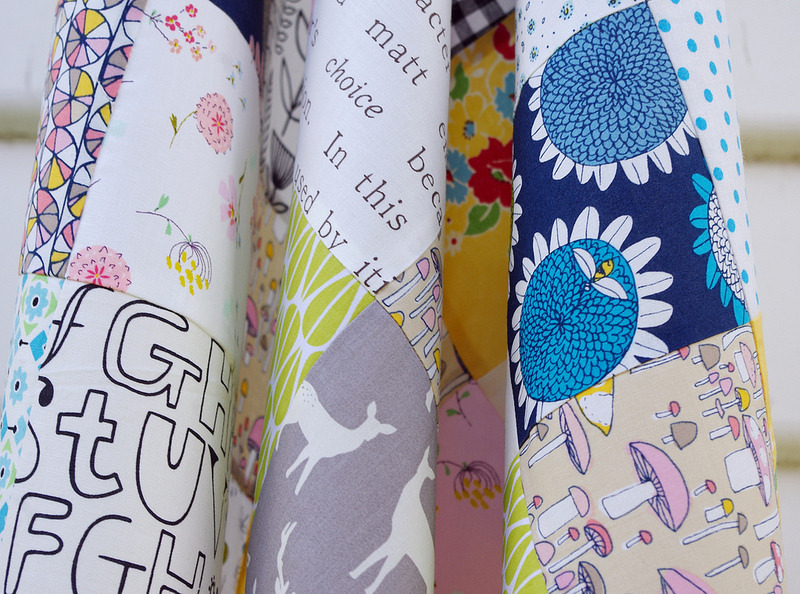 Disclosure: Fat Quarter bundle of Arcadia fabric was sent to me courtesy of Cloud9 without obligation - the work, words, photos and opinions are all mine. No persuasion needed. 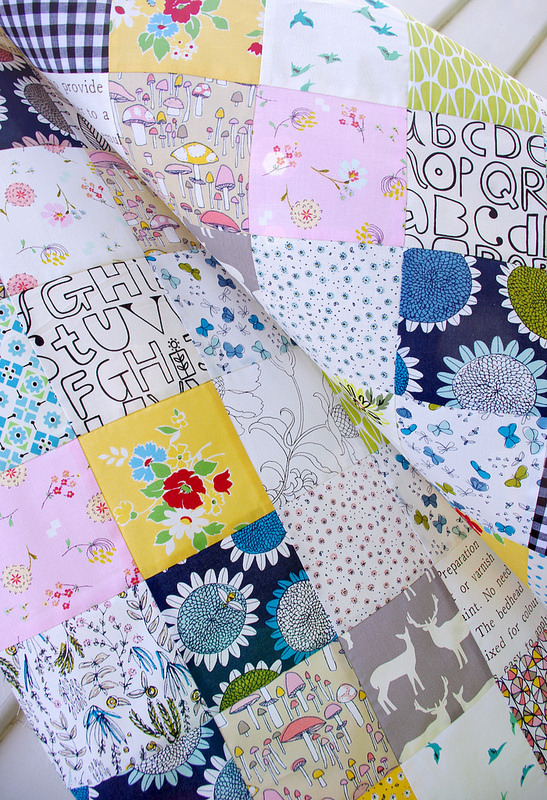 The new quilt is lovely. I'm hoping to start something like this soon. Just need to come up with the right fabrics. My choice usually runs to Civil War prints, so will have to find a bundle or two of modern prints. Step outside my comfort zone. 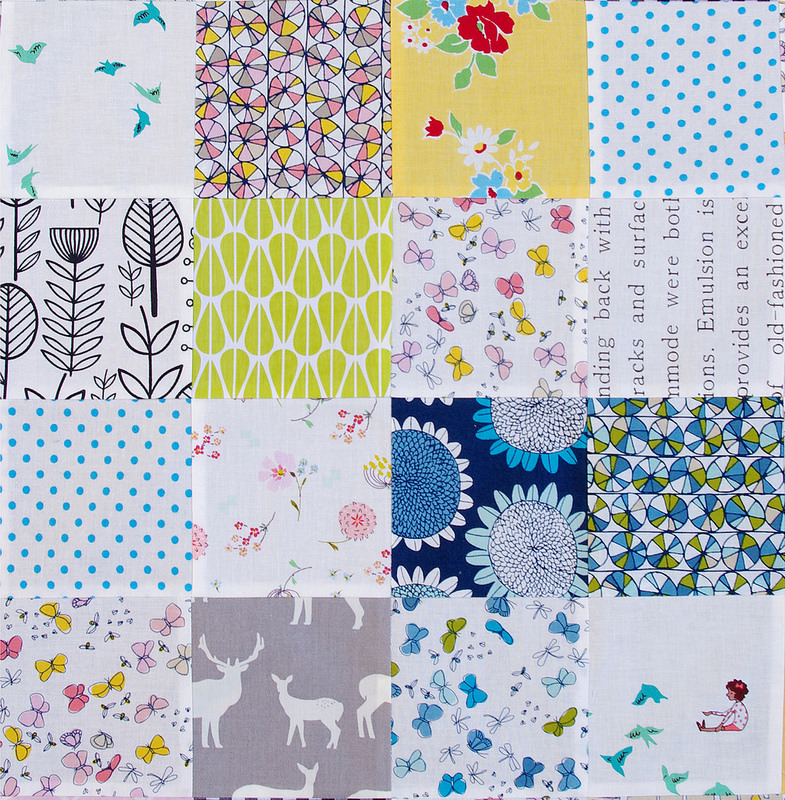 I love the way the simple squares really let the fabrics shine, such lovely designs, so sweet! This is so fun. You do more with simple design than most do with a complicated design. I love your sense of color and style. Perfection! 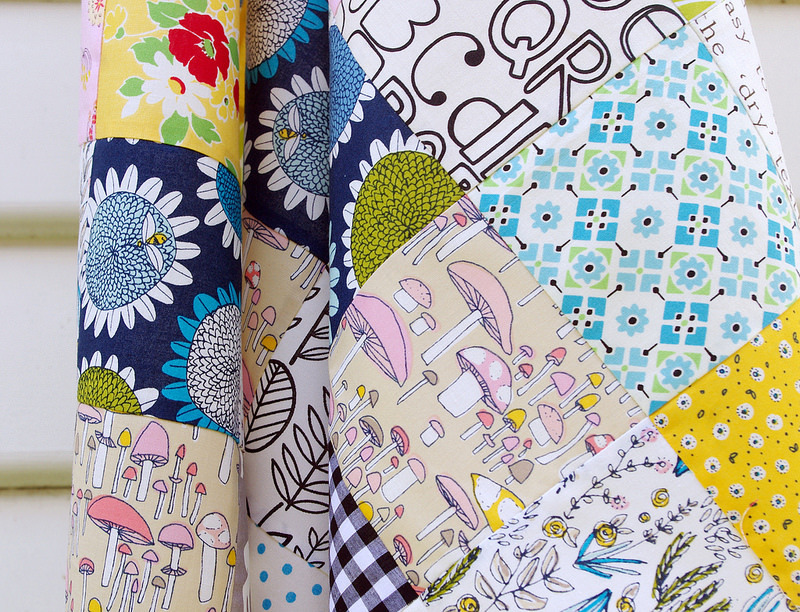 As always, a happy and interesting quilt! Thanks for sharing! Yes, I can see that the deer made a real difference. A lovely quilt. I have been drawn to fabrics with darker backgrounds lately too.... No idea why. Isn't it funny . So cute! Soft and quiet with pops of the darker blue which is awesome. 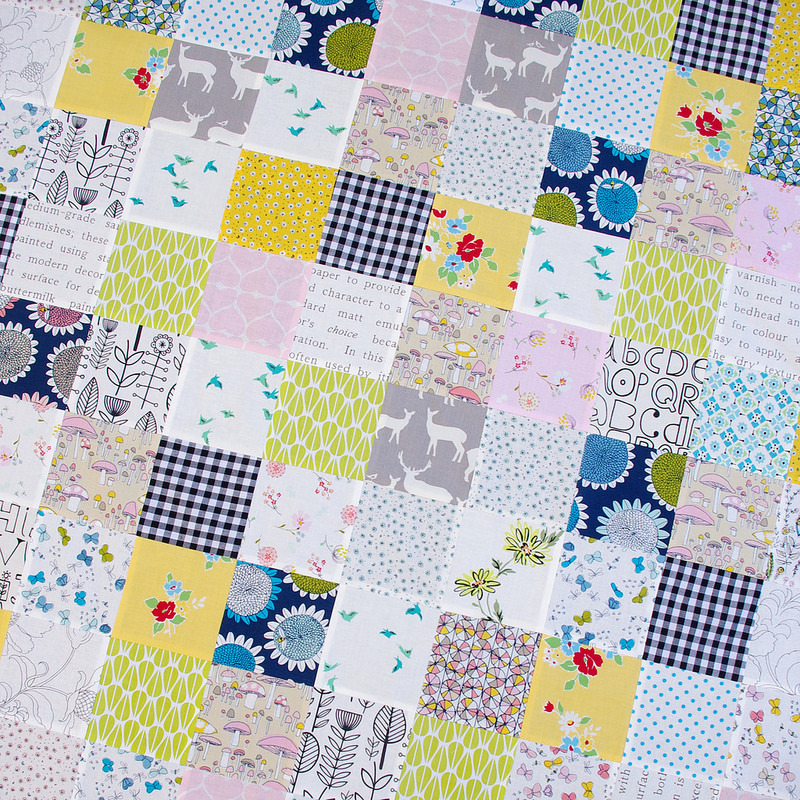 What size squares did you use and did you piece separately or say sewing four strips together and then cutting to make it go faster. 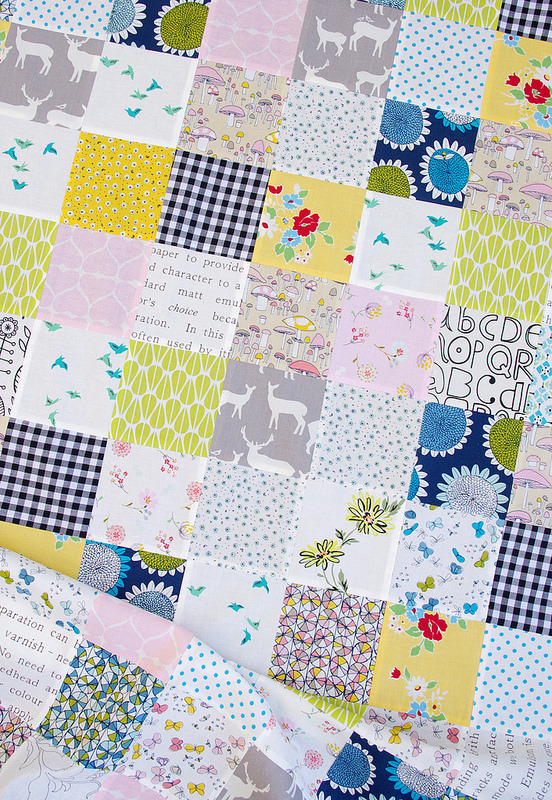 I need to do a quilt like this to bust some scraps! Thanks! Nice! How large is the quilt top? What size did you cut the squares? 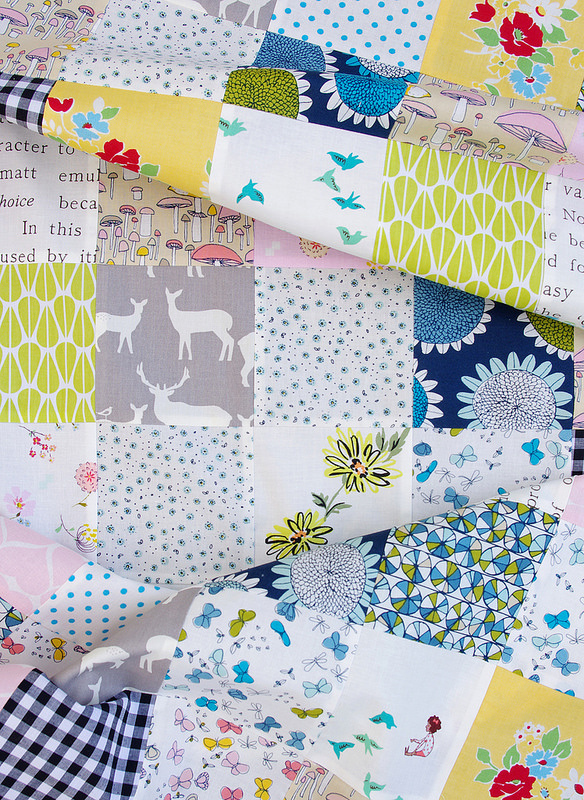 I like this quilt but is it my imagination or this this one a little outside of your norm? I can't put my finger on it exactly. 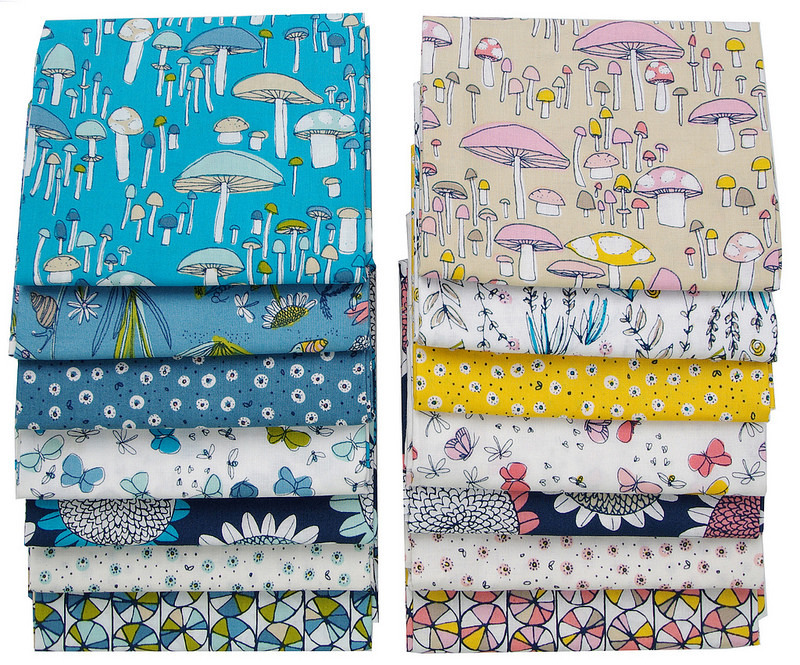 I am not sure I've ever used Cloud 9 Fabrics. Great job!